Wild animals have always held a certain amount of allure and intrigue. Russian Photographer Katerina Plotnikova has tapped in on these feelings, creating a series of mind-blowing photos featuring real live animals. 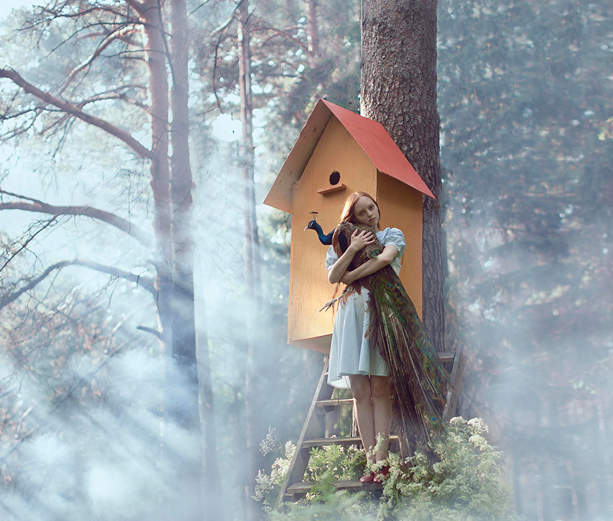 While the concept may seem dangerous, animal trainers were on hand at all times, and the stunning fairy tale themed photos are truly one-of-a-kind.